If you think it’s time to get yourself some new replica watches then maybe you should check out NewReplicaWatches.me.uk. It is an online replica store that allures us with fabulous fake watches and promises to supply us with the best quality there is. Is this really so? Let’s find out! Newreplicawatches.me.uk is pretty much a new name with an old face. 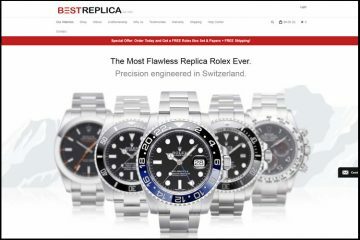 This website design has been used numerous times and by numerous online replica companies. 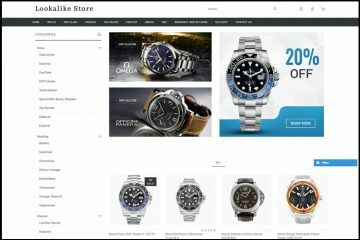 I have seen it at so many fake watches websites that I don’t know any more if and how these merchants are connected. Ignoring this aspect, I have to admit that the webpage looks clean and professional and it is also very easy to use. 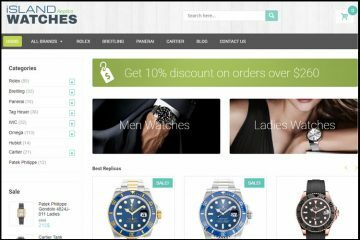 The color scheme is black and white and the pinch of color is represented by an excessively large blue toned banner which displays gorgeous designer watches and the promotional message: “FREE delivery with any order”. Just the right sentence to get our full attention! The menu bar is quite simple as it only has seven buttons, buttons that direct us to the available brands. Newreplicawatches.me.uk has only a little bit over a dozen available watch names, but it manages to cover a big part of the most sought after watches ever made. It includes only the brands that are overly popular, and each one is divided into sub-collections. The sub-collections are pretty wide and offer some of the top bestselling luxury watches to hit the shelves so surely any watch passionate person will find his favorite here. While going through these replica watches page by page I have noticed that some watches are priced at 70 GBP, others ones at 160 GBP and others at 260 GBP. All prices are in GBP. The more expensive replicas have a Swiss ETA mechanism, the medium priced ones have an Asian automatic mechanism, but are gold plated, and, finally, the lower priced ones have an Asian movement and are made from solid stainless steel. The price is influenced both by the inside mechanism and by the materials used to make the watches. The description page is nicely structured and it presents a short summary of all the technical information of these replica watches. It is not a very detailed description, but it manages to sum up quite well all the essentials and it makes you fully understand the level of quality you should expect from these imitation watches. 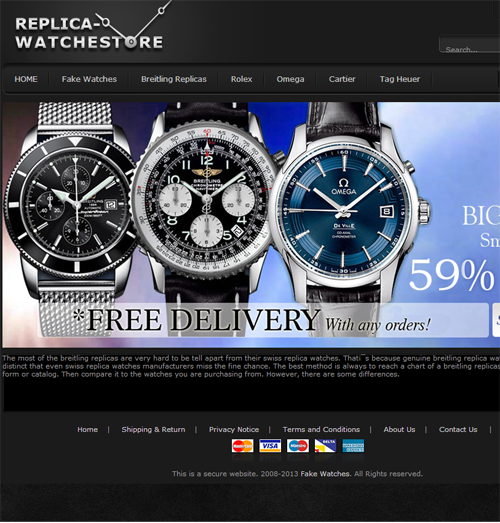 Newreplicawatches.me.uk is able to provide free delivery worldwide. The selected shipping carriers are EMS and DHL. Also, you usually need to wait about 1-2 business days to have your order prepared for shipping. Once the package is shipped, the delivery to Europe takes about 5-7 days and for other countries such as USA, Australia and South America the delivery takes about 10 business days. Of course, all packages are shipped with a tracking number which will be emailed to you after dispatch. Another important thing is the fact that there is a lost return policy. If within 4 weeks from the shipping, your package does not arrive then it is declared lost and it is reshipped free of charge. 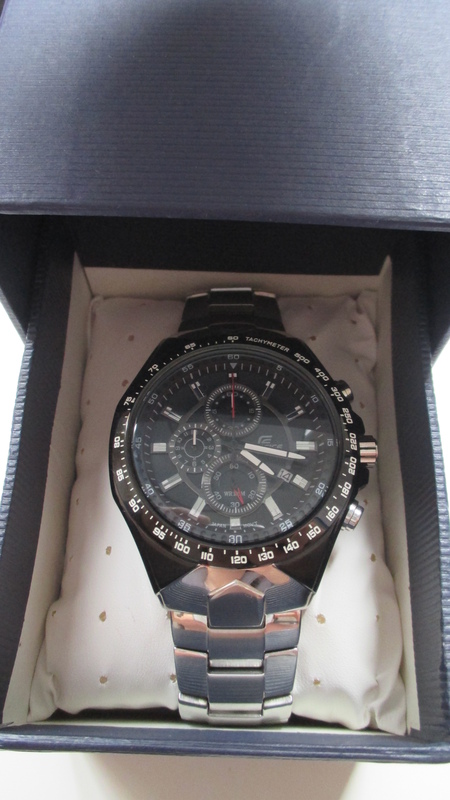 If you have received a replica watch from this fake website and you do not like it or if it is defective then you can send it back within the first 14 days from the delivery and request a refund or an exchange. But this implies some serious costs: the return fees must be paid by the customer, if a refund is requested then $20-$40 will be deducted as to cover the initial shipping fee for your order, and if an exchange is asked then the same $20-$40 will be charged from your card as to pay for sending out the replacement watch. Also, the company offers a 180 days free repairs warranty that covers any manufacturing defects. Browsing through the collections is not very smooth as there is no filter or advanced search option. Indeed, the brands are divided into sub-collections, but other than that you just need to browse through all the pages until you find the desired model. When you look at the bottom of the page you are tricked into believing that the company can process payment methods such as Mastercard, Visa, Maestro, Delta and American Express. If you know a thing or two about online replica stores then you won’t fall for that little lie. When checking further into this matter we see that the FAQ section states that the accepted payments are Visa and Mastercard. Also not true! Only after checking out we discover that the only supported payment option is Visa. Pictures: All pictures displayed on NewReplicaWatches.me.uk are really nice quality photos. All of them have a considerably high clarity that allows you to see all the important details of these watches. At first, you are tempted to believe that these were actually taken by NewReplicaWatches.me.uk and that these show the merchandise it really sells. Unfortunately all of the pictures have a different website name on them and this is HelloReplicaWatches.com. It is another working online replica store that indeed looks different, but has the same product photos. 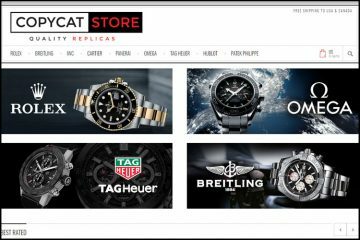 I do not know if these websites are affiliated, but one thing is for sure: we cannot trust that what we are seeing on NewReplicaWatches.me.uk is what we will be getting when ordering from this store. Customer service: Any self-respecting online replica company must be able to provide professional and highly responsive customer service in order to comply with the needs of its customers. Sadly, this fake watches website is far from this ideal. The page has a very appealing Live Chat button that does not work. It is only for aesthetic purposes as when you click it, the website loads the Contact Us page where you are informed that the only available communication channels are by contact form or by a very unprofessional Gmail account: [email protected] I am highly against this sort of companies that do not invest in the most important detail of their business: in ensuring a smooth communication with its customers. Summary: There is nothing new about NewReplicaWatches.me.uk. Everything is as fake as it gets. We are at first impressed with its diverse collection, with the affordable prices, nicely made product descriptions and especially with the free delivery. But after we discover the fact that it lies about the accepted payment methods, about its product photos and about the responsiveness of its customer service we see it as it really is: just another fake store. One that knows very well how to imitate quality! It is actually a poor reflection of what a reputable merchant should be like. My advice to you is to be very reserved when it comes to this store and to research it as much as you can before ordering one of its replicas.